We've been online since 1999. 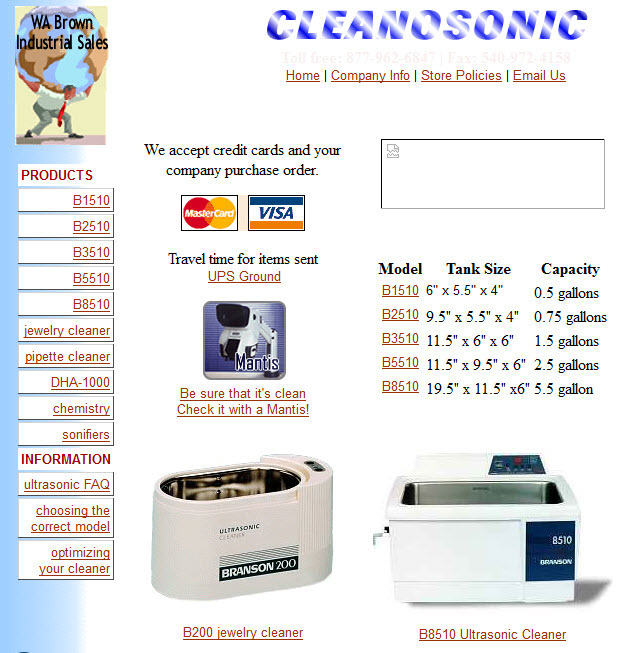 In that time, Cleanosonic.com has been a custom pearl script site, then a Yahoo Store, and finally now a Big Commerce store. With each change, we've made it a little better, a little easier to navigate, and added more features.